Where to Install Wall Mirrors With Hooks in Your Home? In modern home and office settings, there is the need to include mirrors so that you can make your space look larger than it is. Wall mirrors with hooks come in different sizes and shapes. As a homeowner, you need to select the most appropriate design that will perfectly fit into your living area and transform it to look more elegant and stylish. The wall mirrors with hooks can be customized to different shapes and designs according to the specifications of property owners. Depending on the design, they can be placed on strategic locations in your home or office. If you are aiming at adding wall mirrors with hooks in your home, you will need to understand how to install them and also on the best locations to fit them in your office or living room. 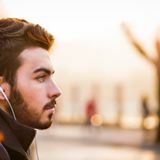 When entering into a home or office, the first thing that a visitor sees should be attractive and unique. Rounded wall mirrors with hooks can be placed directly opposite the entrance door of your home or office. The size of the rounded mirror should be considered to ensure that it reflects objects around it well. To make the space elegant and unique, using frameless round glass mirrors for the entrance porch of your home will make the difference in transforming it into a more modern interior. The installation of the wall mirrors with hooks at entrances should be carefully done to avoid any accidents such as the mirror being knocked over by people when passing in front of them. Also, the mirror should be installed at the eye height so that you do not have to struggle with seeing what is being reflected. Additionally, the mirror can be inclined to reflect on specific pieces of art that are unique in your home. This will ensure that the mirror acts as an attraction to many people entering your home at all times. Having additional accessories on the walls of your stairway can make your home look stunning and more contemporary. The arched or rounded design of wall mirrors with hooks can be best to be installed on stairway walls. You may decide to install several of the frameless mirrors on the stairway walls or the wall at the landing of the stairways. When a wall mirror with hooks is installed on the landing wall of a stairway, it reflects the image of the people using the stairs. For instance, if you have the mirror mounted at the bottom of the stairway, you will see a reflection of yourself as you descend from the top. The size of the mirror that can be installed on stairways is dependent on the width of the stairs. Also, this mirror can be inclined to reflect a piece of art which is visible to a person descending the stairs. Have you ever wanted to have a frameless mirror in your dining area that helps you reflect on important media in your home? Wall mirrors with hooks are essential additions to your dining area if you need to introduce some class and elegance in your home. The arched type of design could best fit in the dining room area since it has a unique design. The arched wall mirrors with hooks are considered to be more modern as it combines the conventional and modern designs. You may also hang attractive media around the wall mirror with hooks to create a unique environment. This addition requires you to find the right spot for you to install the mirror. You should ensure that you place it in a position that is visible to your visitors and the people using the living room. Having mirrors in the bathroom is the best addition you can do in your home. The wall mirrors with hooks can be installed as the primary mirrors within your bathroom space. 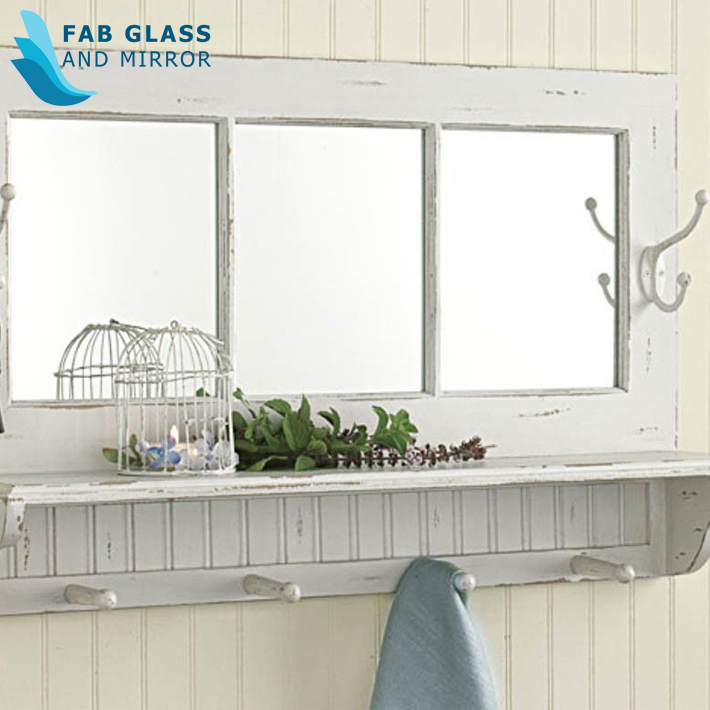 The frameless wall mirrors with hooks make your bathroom more contemporary and flashy. If you are in need of transforming your bathroom, you should consider installing the rounded or the rectangular frameless wall mirrors with hooks. The mirrors should be installed strategically so that you can remain useful for users in the bathroom. Also, you need to buy a wall mirror with hooks that are of considerable size. 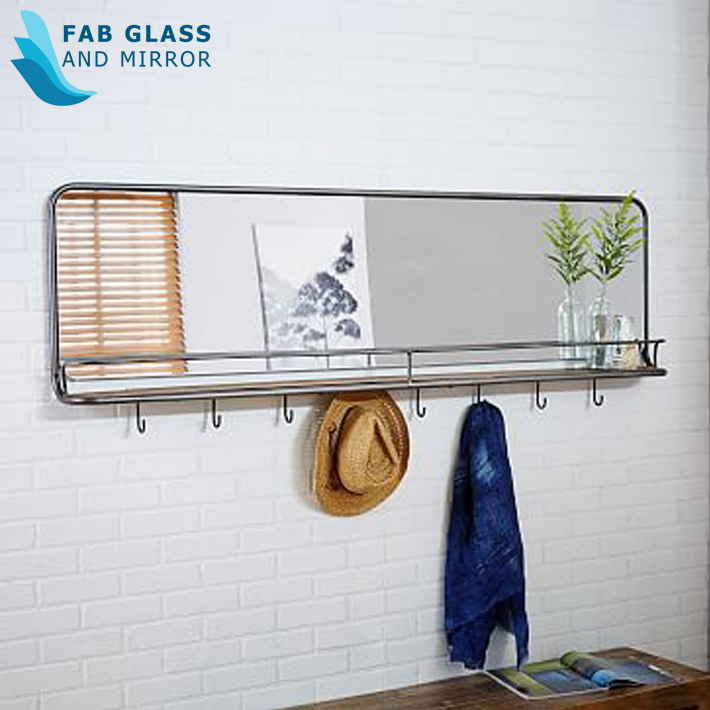 Wall mirrors with hooks can be ordered from an online glass shop Fab Glass and Mirror. With online glass shop, you have the opportunity to check out the wide variety of designs that are available for your home. When buying, you should also consider verifying the quality of the mirrors to avoid any type that has poor quality reflections. The reflections from the mirrors should be attractive and high quality to maintain elegance and class in your bathroom, living room or hallway.